How do you stop the President from tearing up a trade deal. As per Bob Woodward in his new book Fear:Trump in White House, by simply pulling out the signing paper from the desk. The President simply forgot that he had to unsign the NAFTA deal, or rather sign a NAFTA withdrawal (someone please do that for RCEP in India). While the deal break never happened (or engineered to not happen), the revised onerous negotiations on NAFTA wound their way to give the world a glimpse of what makes the US President happy when it comes to trade deals. Mexico has hammered out a deal that's acceptable to the US President. And going by the look of it, Trump loves trophies. He got his wall sponsored. Well almost. Canadians are still thinking, and bargaining. One can understand the Canadian negotiators' dilemma. There's noting on the table for Canadians if they sign. But if they don't, they have things to lose in trade and economic growth. US is their biggest trade partner with more than 3/4th of Canadian exports headed to USA, thanks to NAFTA and friendly border compliance procedures. They also import more than half of all their import needs from US. Of particular interest is automobile trade that makes almost one fifth of the total trade between them. This would change if NAFTA changes. Automobiles are interesting in NAFTA. NAFTA changed the way auto majors operated in north American market. Auto components shuttle across NAFTA borders around 7 times on an average before coming out inside a car. Many carmakers shifted assembly bases to across border Mexico where wages were cheap, almost tenth of that in US. I had blogged earlier about the preposterousness of Trump's demand to have the cars assembled by workers who earn atleast 16 USD per hour (Mexican assembly workers earn around 2 USD per hour). I thought that's a deal breaker. I was wrong! Trump has pulled it off in the first round as Mexicans have agreed to the condition of more than 40% of final assembly to be done by workers earning 16 USD per hour, and for the condition that the share of USA in car components to increase from almost 60% currently to 75% after the reboot of NAFTA. If that jacks up the car price by a thousand dollars, so be it. It's an 'America first' world after all. It's not that Canada is not warming up. Their dairy sector is thinking of opening up for US imports after years of resistance from Quebec farmers; Canadian dairy sector has protectionist tariffs that would put India's dairy product tariffs to shame. The investments in Canada are already taking a hit due to uncertainty around NAFTA and due to the revised corporate tax rates in US. At this time, Canadians seem to focusing too much on dispute resolution mechanism, the chapter 19 of the deal, that shouldn't bother so much during normals times; but given Trump's record at WTO dispute body Canadians are right to try and play safe here. Given the overall loss Canadians stand to suffer if the deal falls apart, it won't be a surprise if Canada decides to play ball after all. There's time till September end to strike out a deal and make the rebooted NAFTA a union of original three. Otherwise, going Trump's way it would be a bilateral US-Mexico deal, on Trump's terms. Well almost. India is planning to setup a National Logistics Portal on an e-marketplace model. The initial idea was mooted sometime during February 2018. The idea is to have an amazon for logistics service providers that would help bring down the logistics cost in the country. In principle, this is a great idea. The rest boils down to execution. In that respect, I find the National Trade Portal of Singapore to be a good single window example to emulate. While I am not a fan of Government being in business of making e-marketplaces of anything, I believe that public sector needs to step in to create infra-superstructures if/when the private sector fails. This effort falls in the category of private sector not living up to the expectations. The logistics portal aims to bring onboard some 80 odd regulatory functions under one umbrella. I assume most of this boils down to providing links to the respective websites, which while dumb might still work as long as the respective websites work well. For example, the clearance at customs is done through ICEGate portal and I can visualise a link being provided to file bills of entries to ICEGate using the new logistics portal. If ICEGate works fine, all would be fine. However, there are many websites that just don't work the way they should. For example, obtaining RCMCs (one of the myriad necessary certificates that could be done away with) from various export promotion councils is a nightmare. Links to these websites might not help unless the entire request system for RCMCs is redesigned. This brings me to the topic of process redesign in e-governance. I believe that most initiatives to computerise government functions/services fail because they fail at process re-engineering. Computerisation is usually super-imposed on the existing manual system of doing things in government service delivery process. That doesn't work. One needs to re-design the work flow before it could be computerised. Let me cite an example related to international trade area. DGFT issues something called a duty credit scrip under various schemes. This is a manual scrip that is printed on a security paper, signed by an officer after affixing something called a security seal. Customs would accept only when the seal, signature and the security paper is intact and whole. When we computerise this process, we need to re-imagine the security paper and seals. Unless we evolve a system of NSDL kind of de-materialzation, or come up with our own blockchain based technology, the computerisation cannot be complete. The paper and the signatures would still make the process slow and inefficient. This would be a challenge for National Logistics Portal too when they think of integrating these 80-ish regulatory functions. Unless they can get many of the departments onboard for process re-engineering, they delivery efficiency would be moot. The problem is that not all these regulatory functions fall under the purview of the commerce department which is making the portal. Therein lies the risk that the integration would end up as links to the respective useless websites. 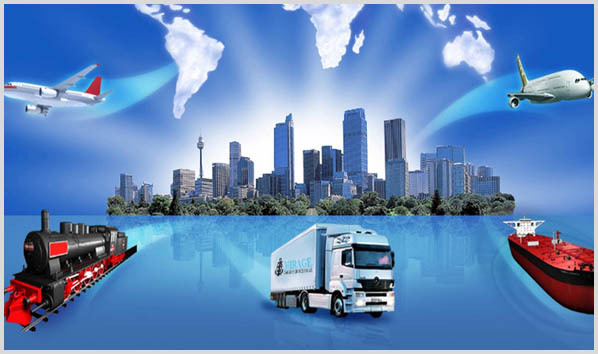 Second is the aim to bring various logistics services providers on-board. This is where the efficiency and user-friendliness of the portal comes into play. Being a user of various forced Government marketplaces such as GeM, I can vouch for their user-Unfriendliness. But for their mandatory nature, I would stay away from Government e-Marketplace. It fails on all counts of ease of navigation, placing of orders, payment, delivery and support. You just don't know where to look for when things fail. I hear that a special purpose vehicle (SPV) might be launched for logistics portal. The SPV usually is a way of saying that private sector would get involved. The unfortunate thing with the government is that the least cost bidder is picked up for execution. While the rules may be tweaked at the stage of entry to weed out smaller unproven players, yet there is no guarantee that the best developer is picked up. Even if we assume that we get a semi-decent developer, the rest boils down to proper definition of proposal and requirements. And here, I have seen that wish lists are doled out to developers without proper definition of the scope. The end product is loose if the scope is not tightly defined. The third challenge would be get the service providers on board. This would happen relatively easily if the portal is good and gains traction. I would hope for the best and wait for the launch of the portal. If done properly, this would indeed be a good step in right direction. The pilot launch is expected during March 2019.